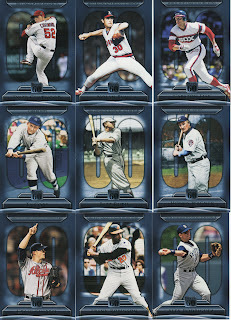 You know we are approaching the end of the year when the 2011 Topps Update boxes are out. 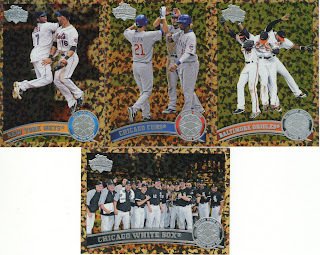 This is both happy and sad times because the season is almost over and then we are looking forward to 2012 products. While I understand what the purpose of this product is, I think there might be a "funner way" to do it. Before I show you what was in the box, you should let me explain. 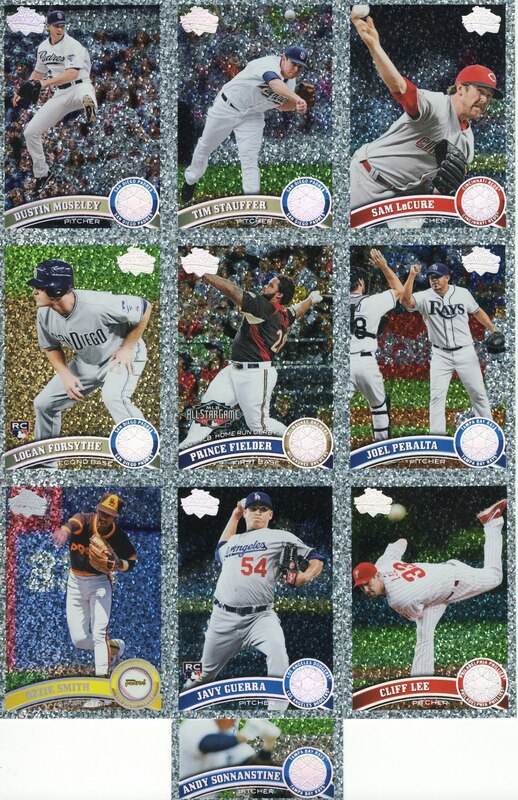 If Topps were to release Series 2 later and include whatever would be in Update in that set there would be room for an extra release, which perhaps could be a Traded & Rookies set like they used to do. I'm just thinking it would be fun to see that product brought back and then just leave the flagship set at 792 or whatever. See, I didn't even say bring back Turkey Red. 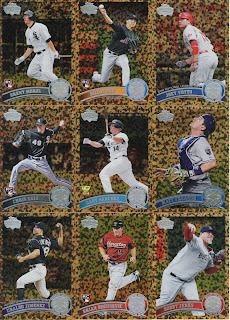 245 base cards, no doubles. 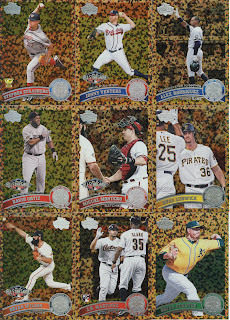 Inserts are all scanned so you can see how those panned out. 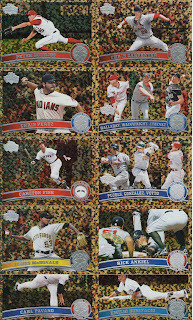 See Topps Series 1 and Topps Series 2 reviews. 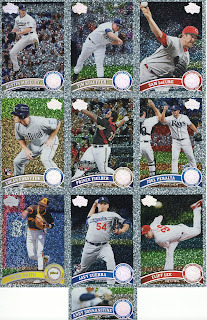 For this particular set, you get almost a complete set in a hobby box plus a TON of inserts and parallels to keep you entertained and interested while building your set. I would guess set builders would argue that one less cognac per pack would make it easier to complete the set, and I might agree for the most part. The cognac cards probably should have been included in each series to avoid dumping a bunch of parallels into one set--- however, the reason they may have done that was to create more sales for a product that doesn't do well? 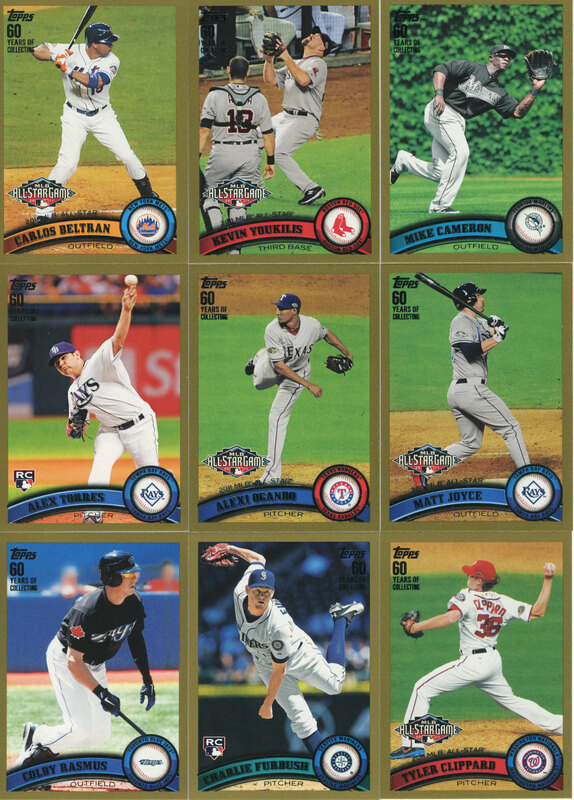 That's the only reason I could think of for holding back essentially 3 series worth of parallels for the Update. The quality of this set is on target for what we have all come to expect from Update, and it falls into line with Series 1 & 2. 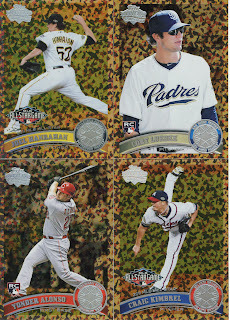 There were no damaged cards in the box, and no doubles so the quality control was not an issue in this product. Would it be wrong to say B instead because this set is just not really that appealing from a consumer standpoint? 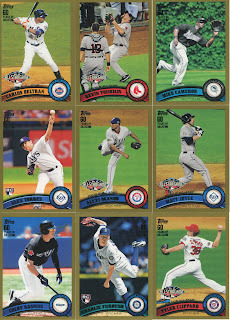 I don't build sets so I see no real reason to not just buy the cards of my players from this set. 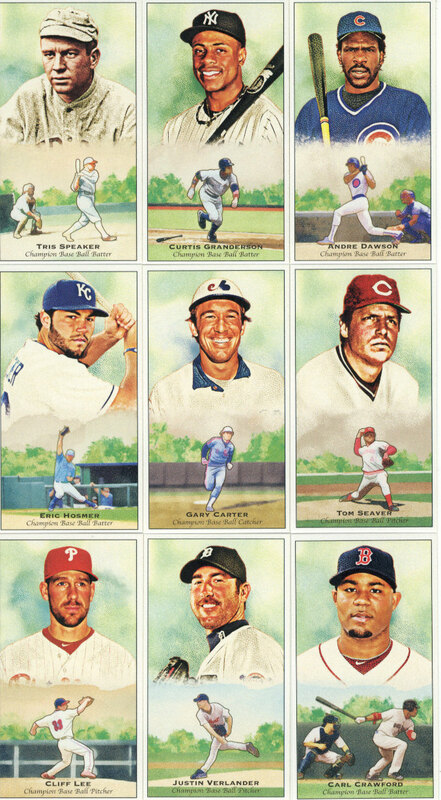 There are a ton of cards per box which is great if you collect many players or teams, but otherwise you end up with a lot of clutter. 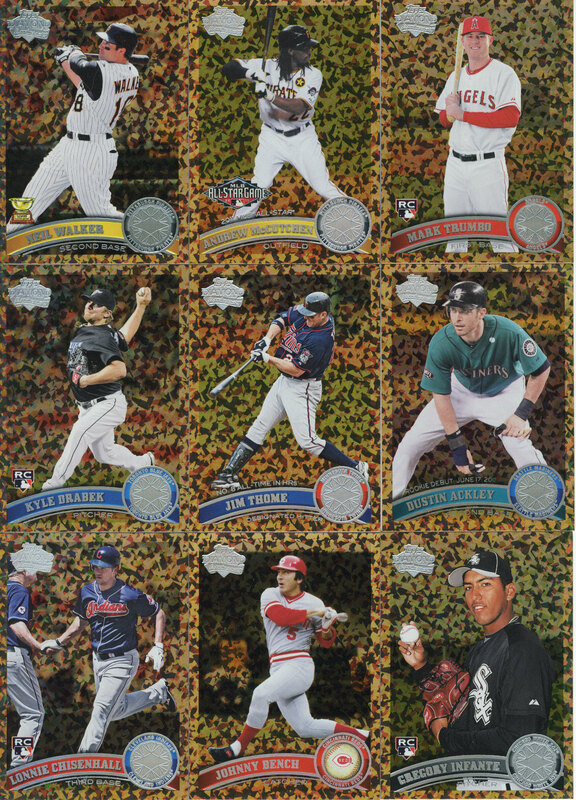 The ton of inserts you get are great but it's another instance you can argue there are too many (vs. too little) but who knows. I'm very wishy washy on this product not just this year but every year. I hardly ever see the need for it only because the included rookies are not what they used to be years ago. 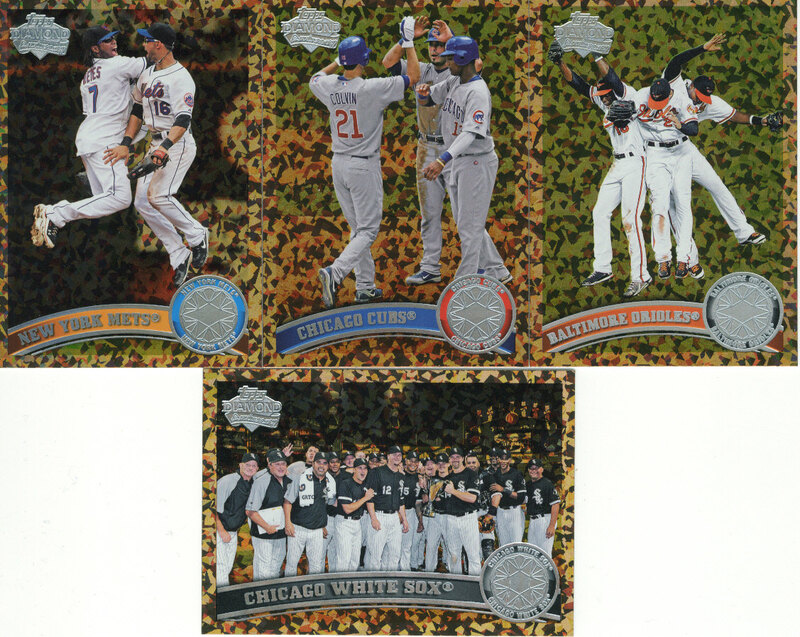 No one wants a Topps "base" rookie card anymore. 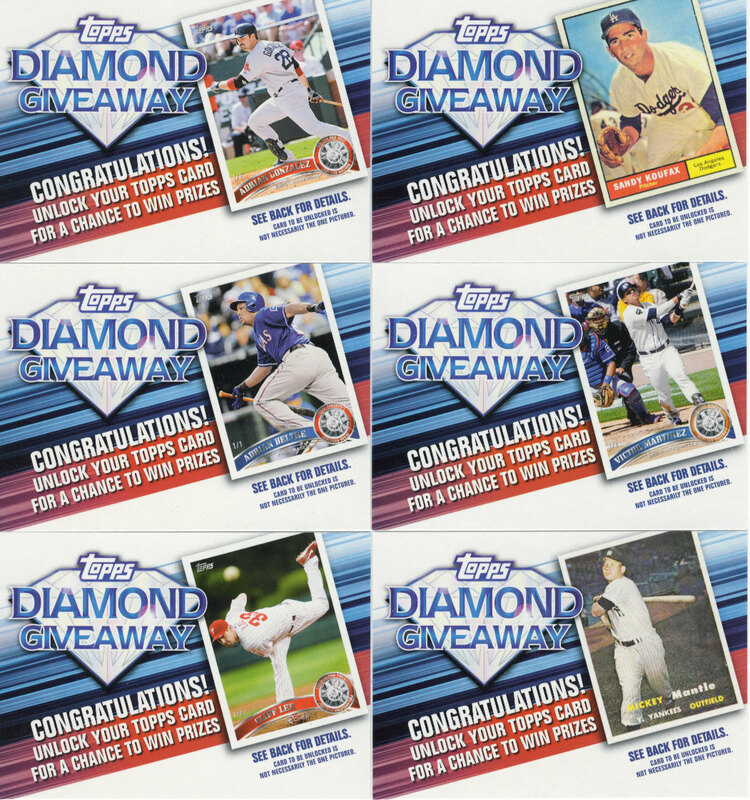 People want higher end rookie cards or Bowman First Year or Bowman autos. 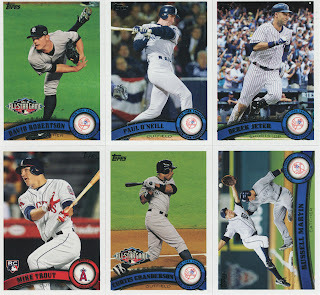 Do you guys see what I am saying about maybe bringing back the Traded set? 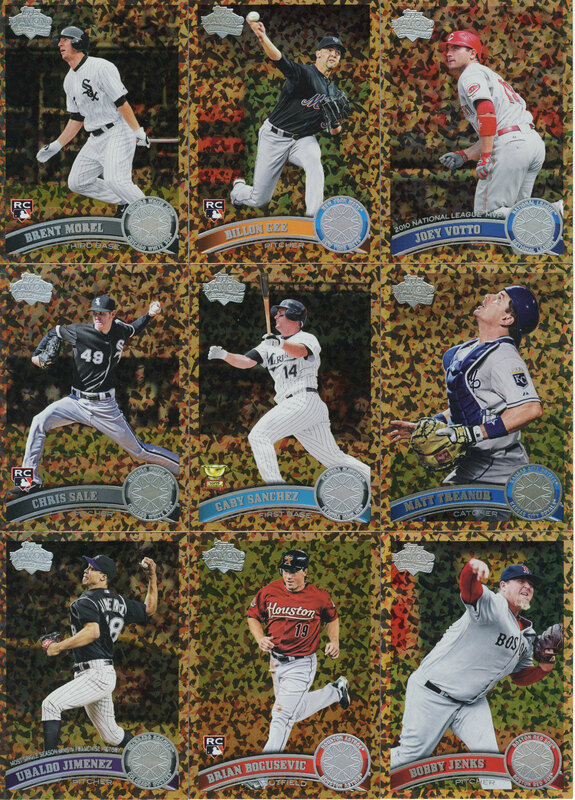 Maybe making that 100 cards or so and a higher end card like along the Bowman Platinum lines? 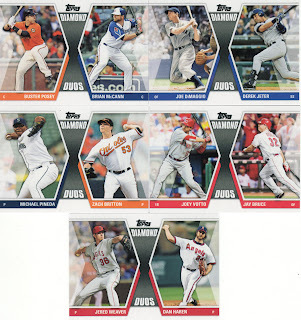 I AM a set builder and it wouldn't break my heart for them to reduce this product to less cards. 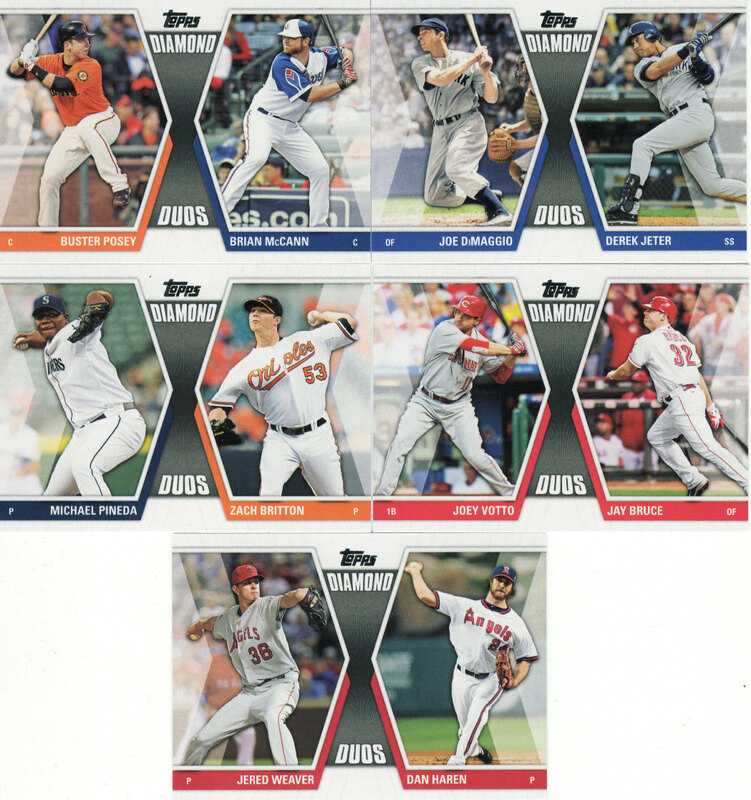 By the time you get thru the first two series, the novelty of the design and the inserts has worn off almost completely, but you still have a whole third set of base and just as many inserts to go after again. 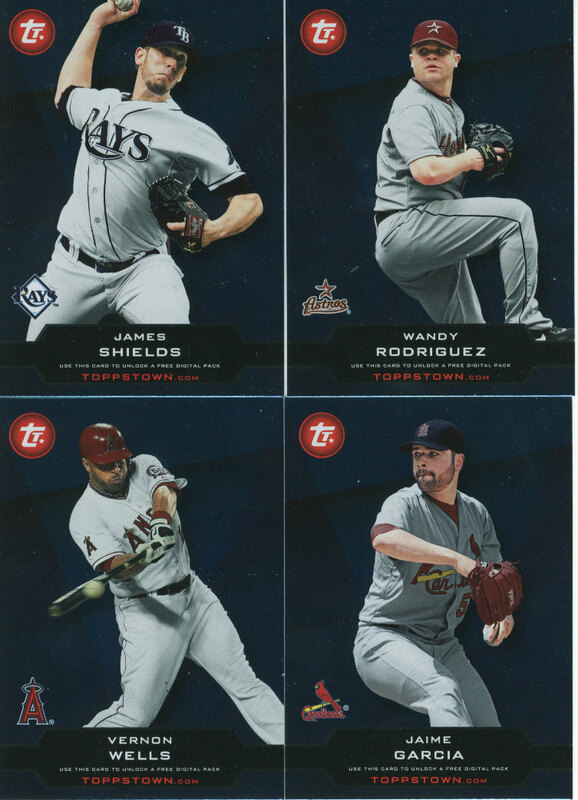 I'm the rare exception in that I'm really not into rookies, so I can't recommend a Bowman type replacement product. 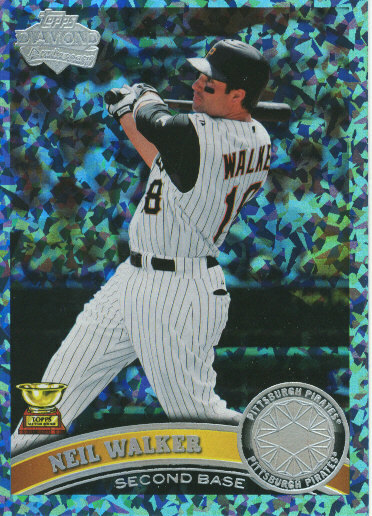 I'd rather see a retired player set, but the MLBPA has effectively banned those, so maybe something new, like a set devoted to the player awards or nicknames or something. 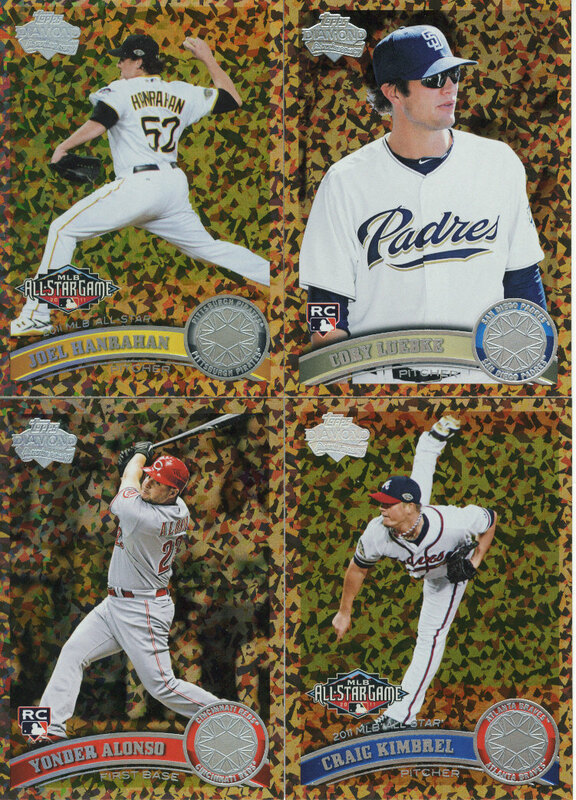 cognac - I imagine they are plentiful because Topps decided they needed another parallel after series 2 went to press. I am not too sure that I feel it was a strategic move to put three series of cognac and the new hope parallels into the update. 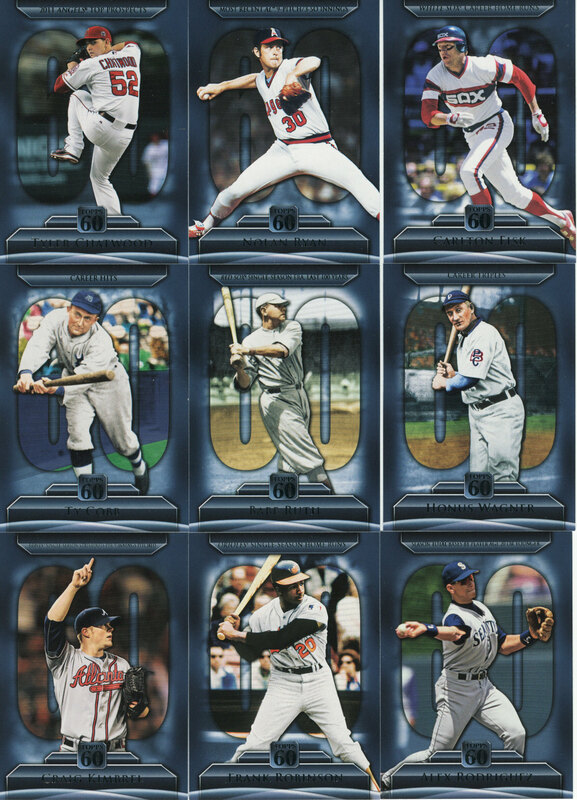 set numbering - I'd be perfectly happy it it was 661-990 so the three series mesh together into one big 990 card set. 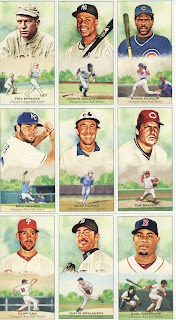 I wish there would be fewer player duplicates and BS in-set themes (outside of the traded players appearing twice - in airbrushed or old teams in series 1/2, new teams in series 3) such that the 990 card set can become more of a topps total set with as many players as possible included over the three series'. Just a piece of constructive criticism: If you're "wishy-washy" about a product, than you probably should grade it an "A." I can't say I look forward to this set. Maybe more like tolerate it. Over the past few years it has been overloaded with the "All-star" cards. 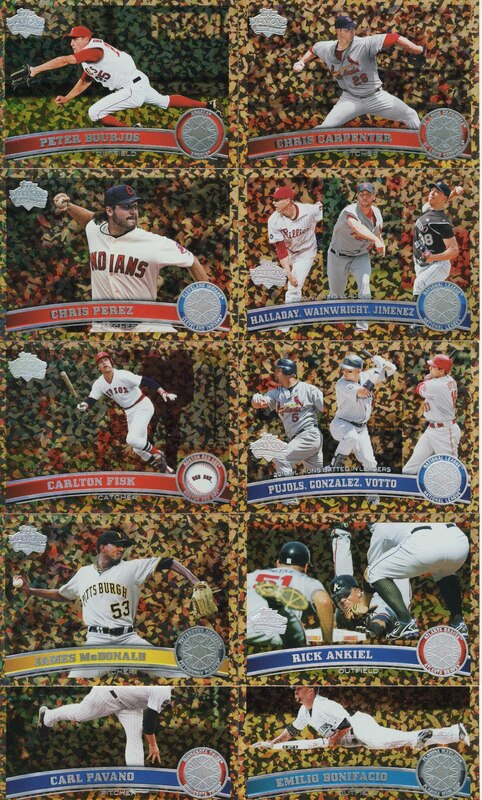 I miss the days of the All-star insert. Nevertheless, I don't feel my Topps Flagship is complete without this. 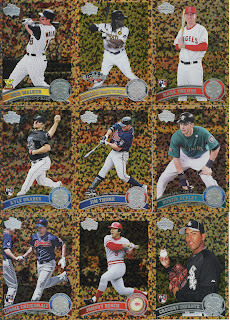 I can use the two sp's if you are looking to trade. 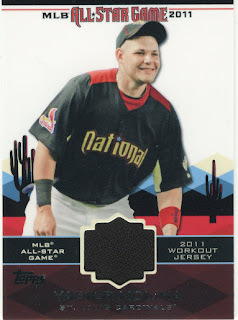 The all star cards are a waste, they should go back to slapping the all star tag on the player's card the following season in series 1 and use use the extra cards that this creates for deeper bench players and bullpen guys. How they select players makes no sense, how can Vance Worley go 12-3 as a rookie and not get a card in flagship 1, 2 or update? 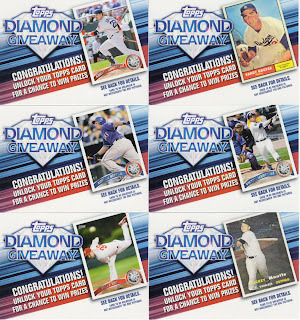 Any chance the Cliff Lee Diamond Giveaway card is available AFTER to redeeem it?